Of all the mouthwatering dishes to come out of Sicily, cannoli might just be the best known and best loved. Few can resist that decadent ricotta filling, the flaky pastry that surrounds it. While cannoli are commonly considered an “Italian” dessert, the truth is you won’t find them in most any respectable bakery on the Italian peninsula. These treats are 100% Sicilian. Be wary of any so-calledcannolisold in other regions of Italy. If you want an authentic one,you’ll have to venture over to the island itself. Alternatively, you can whip up a batch of your own! Made-from-scratch cannoliare a world apart from the store-bought variety. They’re not as complicated to make as you might imagine. Homemade shells are infinitely better than pre-made ones. While many recipes call for the use of metal cannoli tubesto shape the shells, we recognize not everyone has them on-hand. And there’s no need to fork over the money when you can create makeshift cannoli tubes at home with aluminum foil! 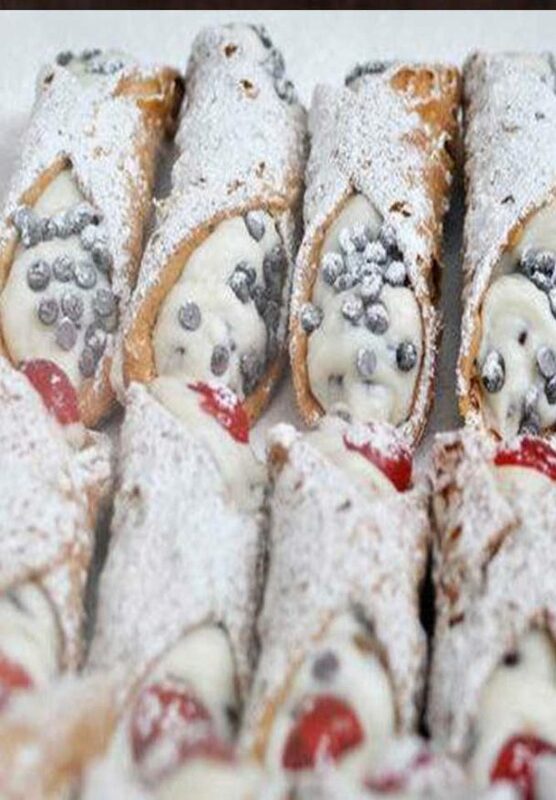 If you’d like to make your own, we’ll provide instructions for DIY cannoli tubes below. Follow along as we give you the scoop on making your own cannoli: homemade shells stuffed with a creamy ricotta, chocolate chip & cherry filling! 1. Mix all “shell ingredients” except for theMarsalain a bowl with a pastry cutter until it is crumbly. The butter and egg yolks should be thoroughly mixed. 2. Next, add in the wine 1 oz at a time,untilyou are able to mix it with your hands. 3. Form mixture into a ball and let sit uncovered for about 30 minutes. 4. If you don’t have metal cannoli tubes, create your own while you wait for the dough to be ready. For each tube you make, you’ll need a 12×12 inch sheet of aluminum foil. Fold the sheet in half, then wrap it tightly around a dowel that’s about 1 1/4 inches in diameter. Allow the foil to overlap on the dowel about 3 times to strengthen it. Then slide it off the dowel to make a few more. That’s it! 5.Once dough is ready, roll itout so it’s almost paper thin, on a well-floured surface. Then, using the rim of a margarita glass (about 3-4 inches across), make circle imprints into rolled dough. Witha paring knife, makesure circles are cut all the way through. 6.Roll each circle of dough around a cannoli tube, overlaping the ends and pressing to seal, flaring out the edges slightly. 7.Fry one or two at a time in hot melted shortening (about 360∞F) for approximately 1 minute, turning to brown all sides.Remove from hot grease and drain on paper towels, seam side down.Let cool a minute or two before trying to remove metal tube. 8.To remove the metal tube, hold cannoli shell down on the paper towel and carefully slide the tube out one end.Leave cannoil shells on paper towel, seam side down to cool completely. 9. Next, make the filling!Combine ricotta cheese, powdered sugar, and vanilla extract. Before adding inMaraschino cherries, squeeze them with paper towels to remove all liquid. Otherwise your filling will turn pink and watery! When ready, add cherries and chocolate chips to the mixture– be sure not to over mix. 10. Allow filling to chill for 30 minutes. Then pipe into cooled cannoli shells. Garnish with powdered sugar, chocolate chips and/or Maraschino cherries to your taste. Refrigerate until ready to serve. 11. Buon appetito! 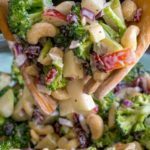 You may like: The Best Creamy Pasta Salad !! !